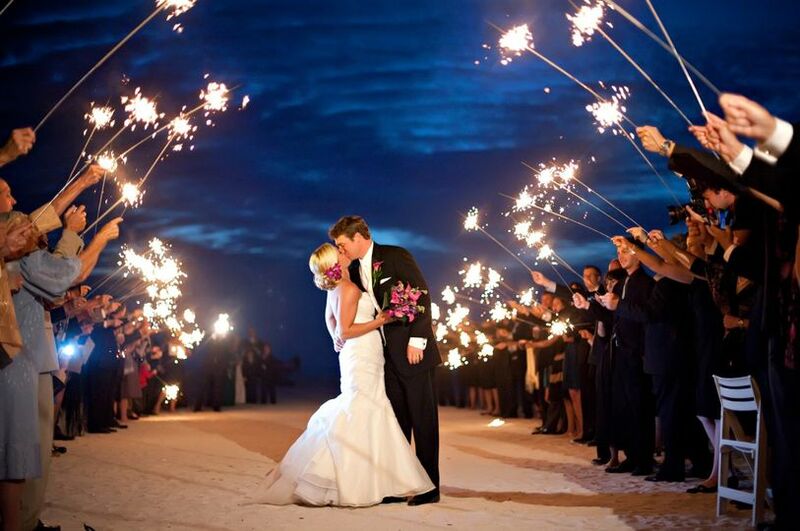 Wedding Sparklers Direct is your online source for high quality wedding sparklers at low discount prices. 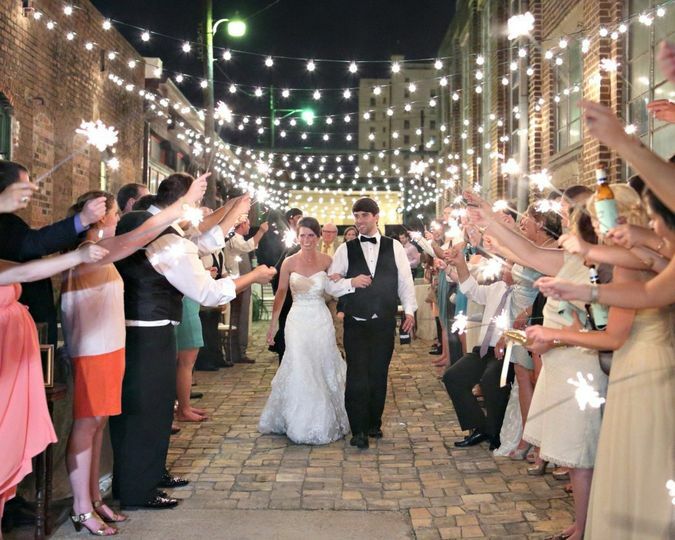 We sell only the highest quality wedding sparklers, backed by a 100% guarantee, in the three most popular sizes: 14 inch wedding sparklers, 20 inch wedding sparklers, and 36 inch wedding sparklers. 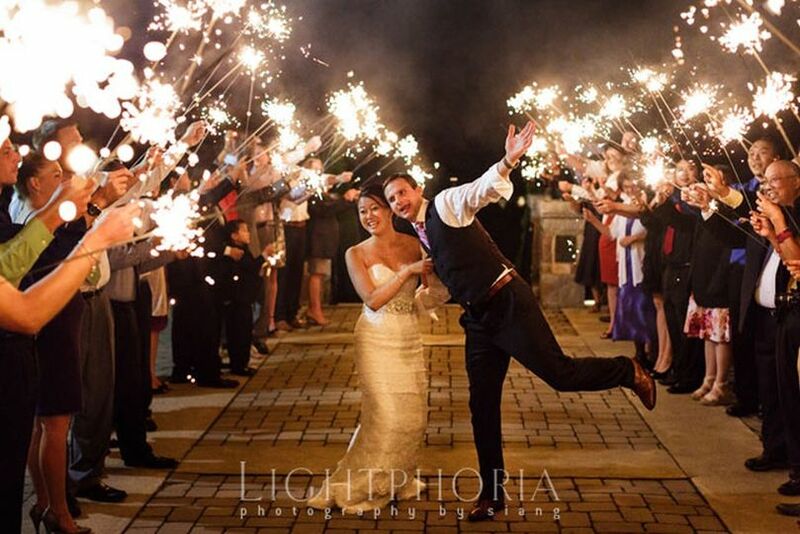 Our wedding sparklers burn super bright, and last longer than most other brands, so there is plenty of time to get those amazing wedding photos that your family will love. 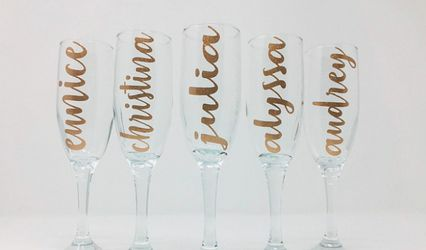 And, as a division of Quantum Products Inc, we import all our sparklers directly from our manufacturer in China, eliminating any middlemen, and allowing us to sell directly to you at the lowest possible prices. There are never any hidden charges and your satisfaction is completely guaranteed. 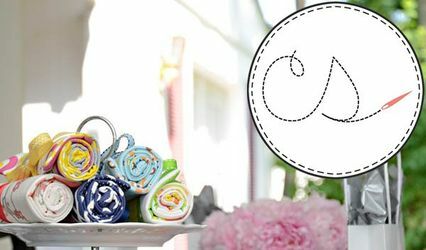 We pride ourselves on delivering the highest level of customer service, putting your satisfaction first, and always doing everything we can to ensure your purchase is delivered on time, every time. 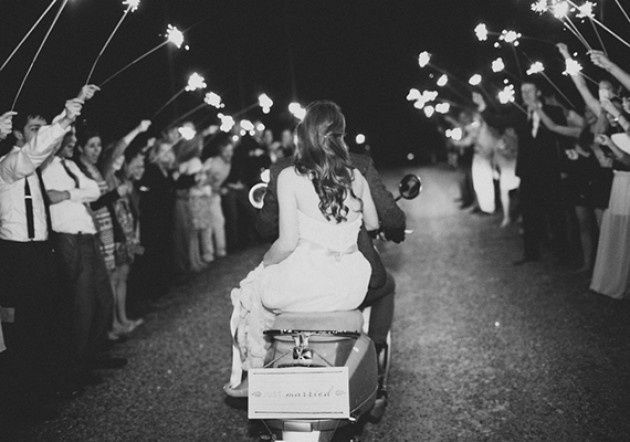 And as an added bonus, we offer FREE SHIPPING on all wedding sparkler orders! 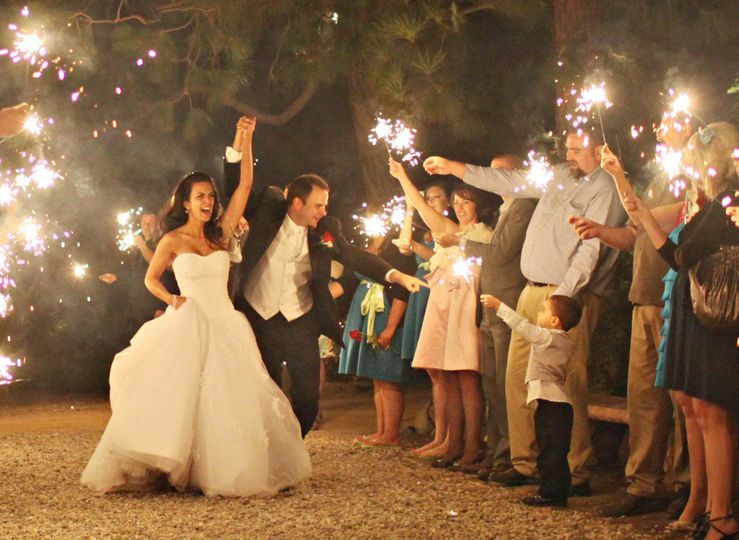 At Wedding Sparklers Direct, we sell only premium grade wire sparklers. Sparklers made on a wire rod generate the least amount of smoke possible and tend to burn longer. 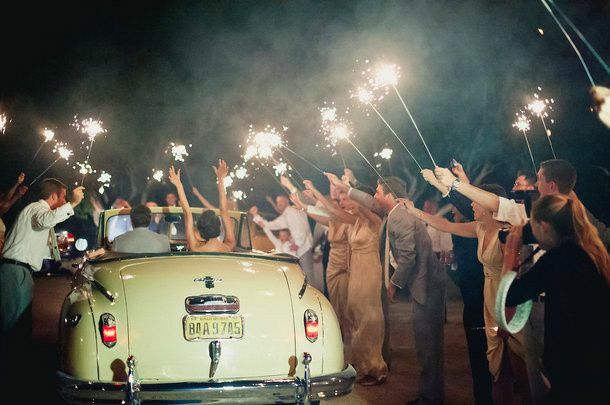 Sparklers made on a wooden stick (bamboo), make a big mess, tend to burn faster, and generate a lot more smoke - making it more difficult for your wedding photographer to get that perfect shot. 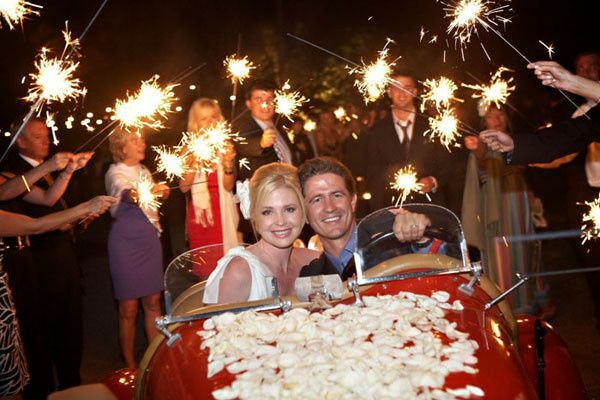 So don't risk it - use only premium grade wedding sparklers made on a wire rod for your wedding. 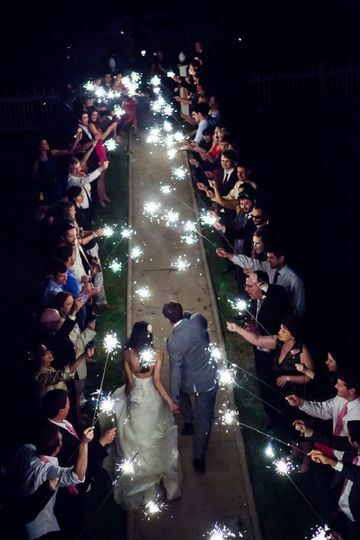 I ordered 96, 36" gold sparklers for my daughter's wedding from weddingsparklersdirect.com. They just arrived today. Very quick delivery! We just tried one and it burned for 3 minutes! They are super long. They should work great. I signed up with my email address and received a 10% off coupon. I also chatted with a representative on their website before I placed my order and she was very helpful. I was very reluctant at first but so far very pleased! I will update after the wedding to see how it goes. We ordered the 192 pack of the 20" sparklers for our wedding without knowing exactly when we would use them. We ultimately passed them out with smores and Girl Scout cookies at a bonfire the night before our wedding. 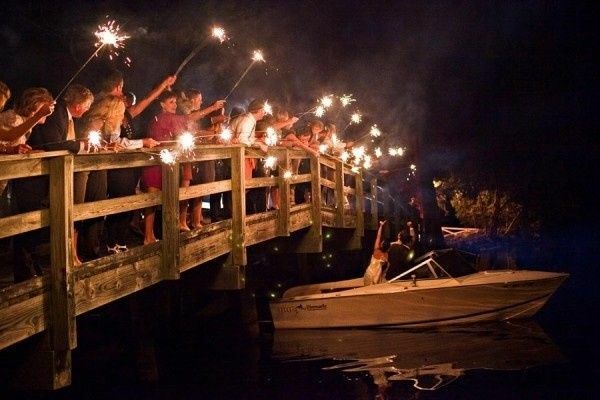 I never thought adults would get so excited about sparklers! These were a big hit, with people taking handfuls of them and playing around, including painting images in the air. One of my friends had the cameraman slow down the shutter speed so that he could take photos of us drawing hearts (they came out)! There was not a lot of wind, so we were generally able to light these with matches, although sometimes it took a couple of matches to get a sparkler going. But once they were they got going they were long lasting. And the time honored trick of lighting one sparkler with another or lighting the sparkler in the bonfire also worked just fine! I ordered Sparklers from this vendor for my send off, and I must say, they were pretty awesome sparklers! I even have boxes of untouched sparklers that I will use at my next party. They lasted a long time, and everyone enjoyed them! Thank you! !